24-18 AWG Wire Splice Quick Connectors - Dual Channel Terminal Splice Pair: 1. Wire Splice Quick Connectors Laid Out. 2. Wires Inside Splice Quick Connectors. 3. Splice Quick Connectors Closed. 4. All Wires And Splice Connectors Connected. 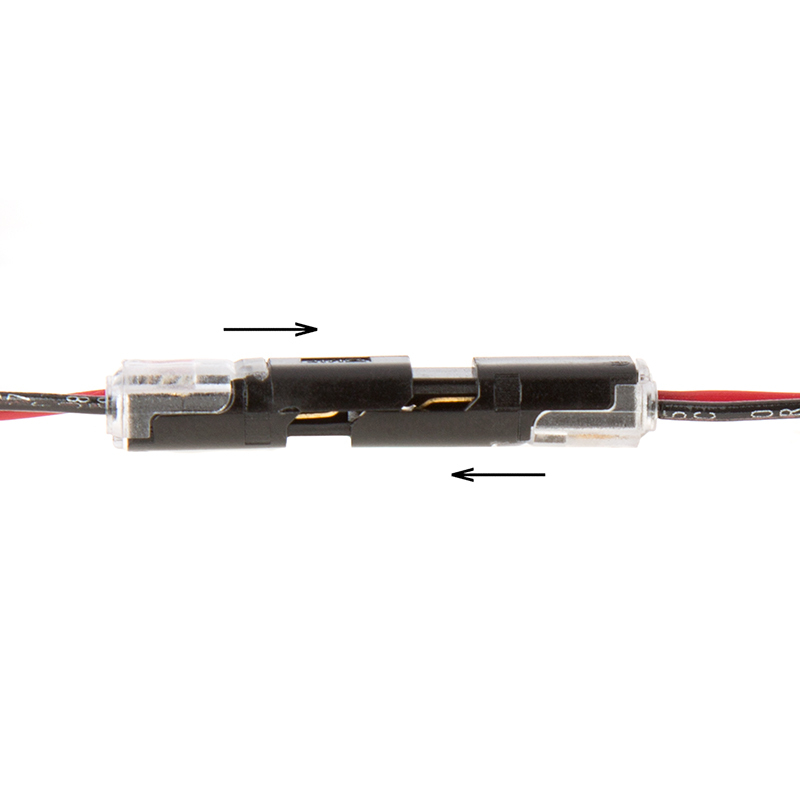 These dual-conductor quick wire connectors are perfect for connections that need to be assembled and reassembled into different configurations. 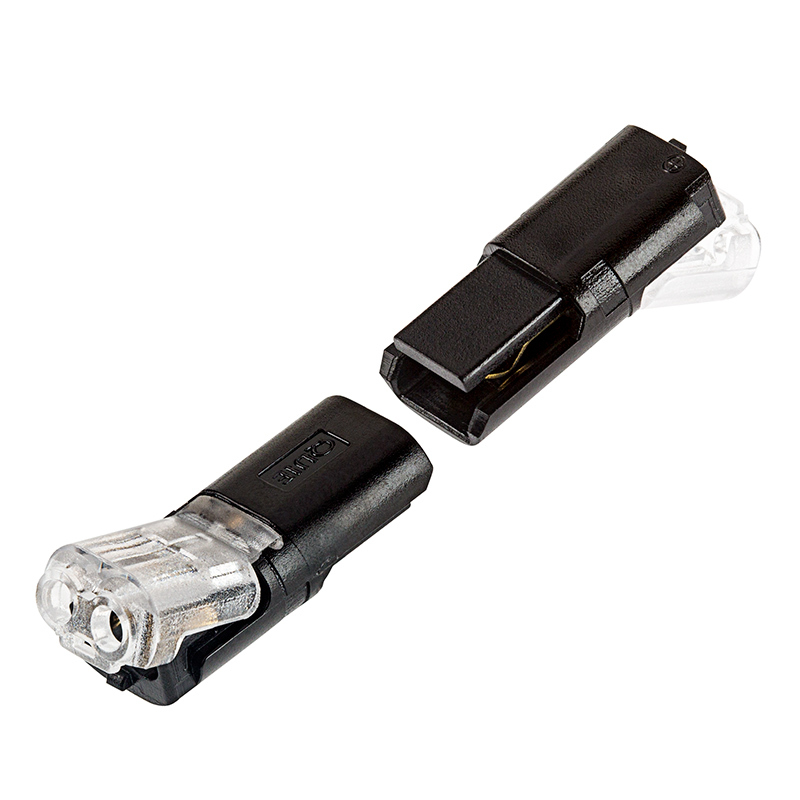 Connectors are designed with interlocking ends and easily snap together. The non-weatherproof, insulated wire splice connectors are designed for 22-18 gauge wire and have a secure snap closure to hold wires in place; there's no need to strip wire insulation. 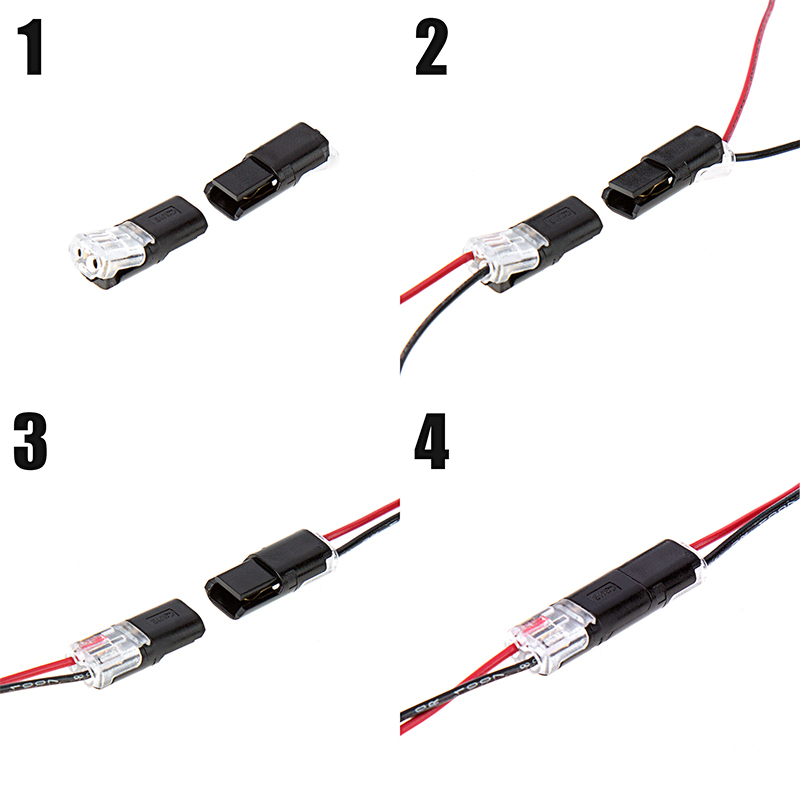 Each connector is rated for 6 Amps at 36VDC or 25 VAC. Price per pair. Also available in a 3-connector kit with Y splitter.